Available Now A Select Development Of Two High Spec New Build Semi Detached Houses Situated In A Popular Residential Location. Featuring Four Well Proportioned Bedrooms, Master Having En-Suite, Lounge, Guest WC, Fitted Kitchen & Off Road Parking. PRICED TO SELL - Ground Floor Flat - Bright and Spacious - Two Double Bedrooms - Fitted Kitchen - Outside Storage Space - Communal Garden -Laminate Flooring - Close to Shops and Amenities - No Onward Chain. 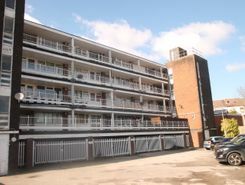 For Sale Under The Hammer via the Modern Method of Auction which is not to be confused with traditional auctionGUIDE PRICE £27,500 plus Reservation Fee.ONE BEDROOM TOP FLOOR APARTMENT. GREAT INVESTMENT PROPERTY. NO UPWARD CHAIN, EPC G, MUST BE VIEWED. Property marketplace TheHouseShop.com have been helping consumers letting, renting, buying and selling houses online and have gathered detailed knowledge of the Bilston in West Midlands property market allowing users to save money along the way. Estate agents, online-only agents, private sellers, private landlords and property developers can all list properties for sale and to rent on TheHouseShop.com, as it is the only property marketplace in the UK to accepts listings from both professional agents and individual homeowners. Sellers using TheHouseShop can choose whether they want to sell their home privately or if they would like to sell using a high street estate agent or online estate agent. Homeowners using TheHouseShop to sell property in Bilston in West Midlands can save thousands by selling their home privately online. Private house sales are popular with Bilston in West Midlands homeowners who have been using the internet to sell property online for many years now. Property prices in Bilston in West Midlands can vary significantly and pricing your property correctly can be difficult – that's why TheHouseShop offer free professional valuations from local property experts to all private sellers using the site. Our private users can boost exposure for their property adverts and generate more enquiries thanks to our effective marketing options. By using TheHouseShop marketplace to advertise property privately, landlords and sellers in Bilston in West Midlands are saving their time and money while still finding a great selection of potential buyers and renters. If you are a homeowner looking to sell or let a property in Bilston in West Midlands, then TheHouseShop are here to help! 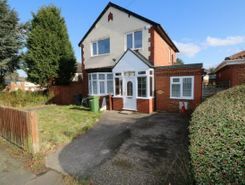 Local estate agents in Bilston in West Midlands also use TheHouseShop.com to find great quality tenants and buyers for their properties by advertising all their listings for free on the website. TheHouseShop's unique mix of properties in Bilston in West Midlands have attracted huge numbers of home hunters looking to buy houses, flats, apartments, bungalows, penthouses, family homes and more. Big agent-only property portals like RightMove and Zoopla will not showcase private listings, but TheHouseShop's mix of professional and private listings mean you can find unique homes in Bilston in West Midlands for sale and to rent. So don't miss out on the home of your dreams and make sure that you visit TheHouseShop.com and sign up for property alerts to keep up to date with the latest new listings. 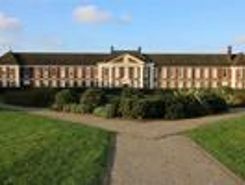 There are a large number of estate agents in Bilston in West Midlands and sellers can use TheHouseShop to compare Bilston in West Midlands estate agents and find the perfect fit for their property. Property marketplace TheHouseShop attracts tens of thousands of buyers who are looking to buy property in Bilston in West Midlands and the surrounding areas every day. 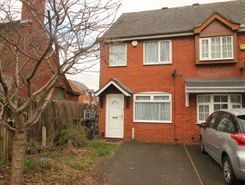 TheHouseShop also deal with properties in the accessible and adaptable homes market and home hunters can find a range of accessible housing options for sale in Bilston in West Midlands. 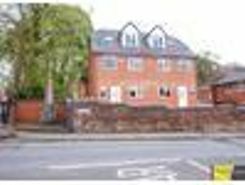 Some of the largest and most established property developers in Bilston in West Midlands use TheHouseShop to market their accessible and new build properties for sale. Home hunters will find a wide selection of cheap homes for sale on TheHouseShop website. 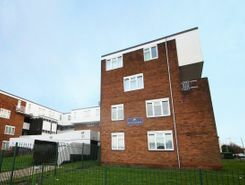 Buyers looking for affordable homes can find a variety of new homes for sale in Bilston in West Midlands available through Shared Ownership schemes. TheHouseShop's free online valuation tool allows buyers to get an estimated house price value for any property in Bilston in West Midlands and make sure that they pay the right price for any property they are interested in. If you are buying, selling, renting or letting property in Bilston in West Midlands, TheHouseShop is here to cover all your property needs.